We are a family owned and run engineering services business based in Killarney, in the south west of Ireland. We serve local businesses and individuals offering an extensive range of engineering and manufacturing services. 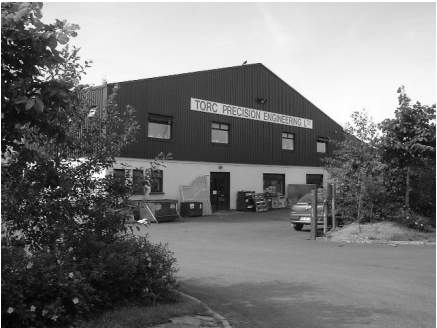 Torc Precision Engineering was established in 1979 by Denis and Teresa Cronin. Denis left Liebherr Ireland, where he was a qualified fitter/turner and shop steward, to set up Precision Engineering Services to fill a gap in the local market for high quality fabrications and machining services. In 1985 the company was incorporated as Torc Precision Engineering Ltd and in 1992 move to its current dedicated facility. Torc has always grown with its customers, adding new services such as CNC machining and hydraulic repairs as the meed arose. Torc has always focused heavily on training and most employees have come through the internal apprenticeship programme. In the last few years Torc apprentices have had notable successes at national and international level. In 2016, having gained 14 years experience in mechanical design and product development at Liebherr Container Cranes, Denis and Teresa's son, Keith Cronin leaves his position as Chief Engineer at Liebherr Container Cranes to rejoin Torc and run and develop the business into the future for the next 30 years!